Classic Tobacco flavor cartridge Tanks™ pack by blu. Due to the very nature of where e-cigarette users have come from, it's understandable that blu's classic tobacco flavored tanks are the most popular flavor. This doesn't tell the whole story, however. 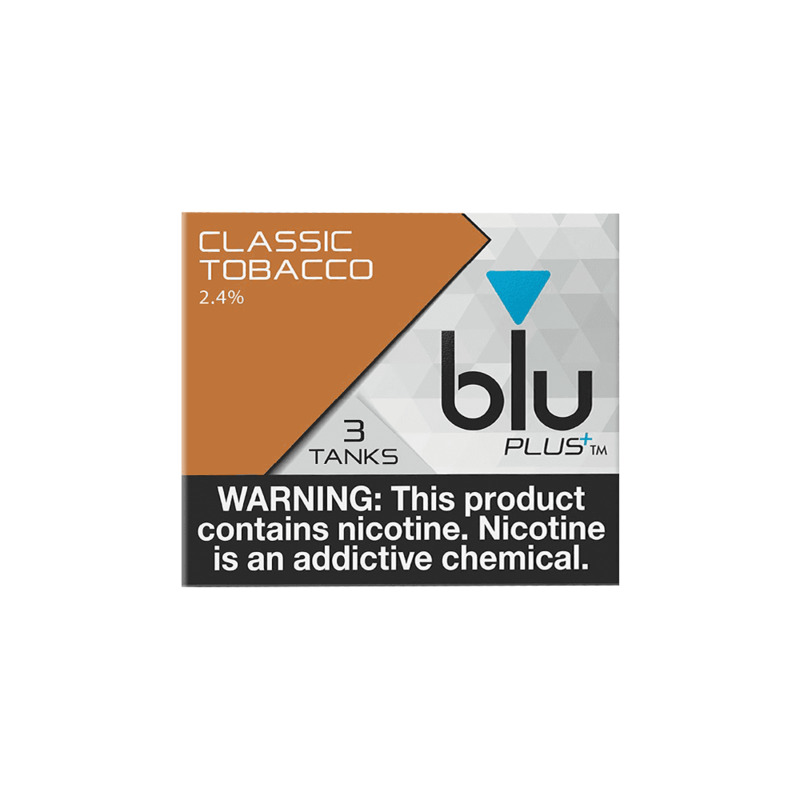 blu Cigs have made their name by creating that smooth, authentic tobacco flavor better than most, and the newly reformulated e-juice found within these cartridge refills takes it to a new level. You can use blu Tanks™ with all blu PLUS™ Starter Kits and Premium100 Packs. They are not compatible with with blu™ Rechargeable or Premium Packs. Had to replace my Mark 10 and tried the Blu brand. Love it! I can’t get this product at the stores anymore and it is the only e-cigarette ( out of many I’ve tried) I like. Very close to tasting like a cigarette without the additives. One puff and in the trash it went. Taste is acceptable, until the tank leaps into my mouth which happens often. Battery should hold the charge longer.